‣ To add more scenes, select the environment, job and scenes to add and click Add Selected Scenes. ‣ To remove unwanted scenes, select the scene and click Remove Selected Scene. 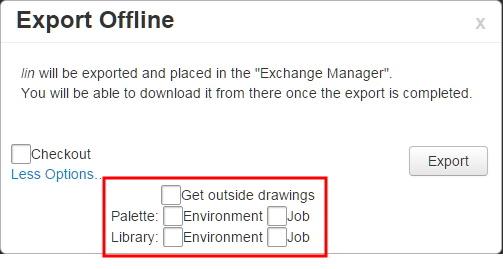 ‣ Click Export Offline to export your selection to your user exchange folder using the preset options. 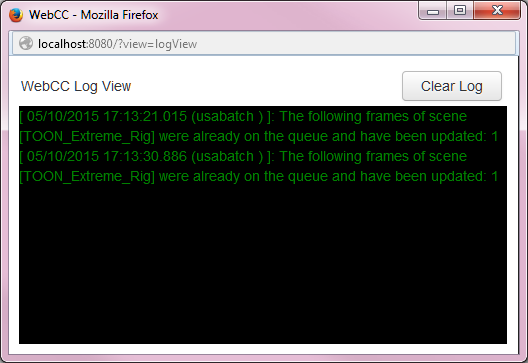 Select the Checkout option to lock the scene, preventing anyone from modifying the scene. Click Export. ‣ To export your selection with custom options, click Export to Another Database. The Export with Options window opens—see Import or Export to Another Database Options. 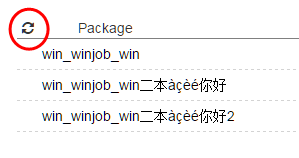 Select the appropriate options and click Export. ‣ Click Quick Import to import your scenes using the preset options. ‣ Click Import with Options to import your scenes with custom options—see Import or Export to Another Database Options.